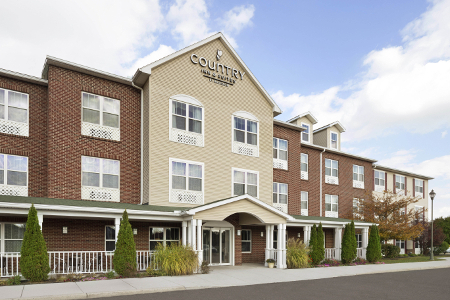 Situated off U.S. Highway 15 and Route 97, the pet-friendly Country Inn & Suites® by Radisson, Gettysburg, PA offers a quiet location close to shopping and historic attractions. 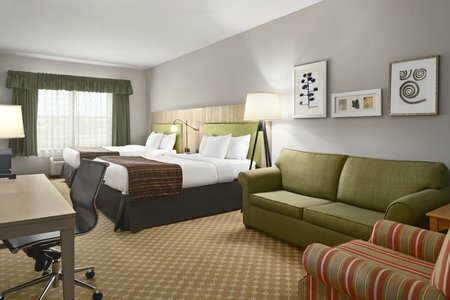 Guests can walk to the adjacent Outlet Shoppes at Gettysburg or drive five minutes to Gettysburg National Military Park. 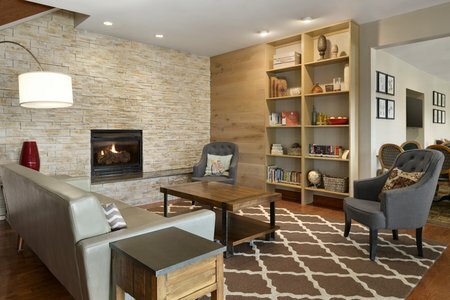 We're also located about two miles from the Gettysburg Museum and Visitor Center, three miles from Gettysburg College and 13 miles from Liberty Mountain Resort skiing. 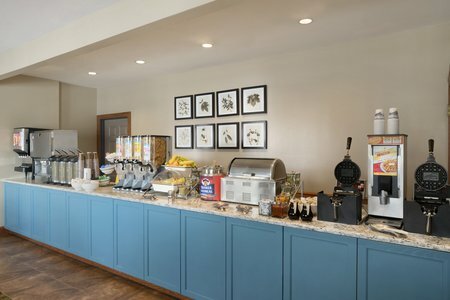 Start your morning with delicious dishes like biscuits and gravy, waffles and fresh fruit when you visit our complimentary, hot breakfast. On your way to a tour? Pick up a cup of coffee and a bagel for the road. For lunch or dinner, head next door to the TGI FridaysSM restaurant, or take a five-minute drive to Dobbin House Tavern, a Colonial-era home converted into a popular restaurant. Check out additional nearby restaurants. Gettysburg National Military Park – Start your retrospective journey at the visitor center, which offers tours on a regular basis. See the battlefield, stroll through the Civil War museum and honor fallen soldiers at the national cemetery within the park. Liberty Mountain Resort – A 20-minute drive puts you on the slopes of Liberty Mountain for your choice of snow sports. Find something to suit your skill level with options like the dedicated tubing hill, the boarding terrain park and groomed downhill runs. The Outlet Shoppes at Gettysburg – Our hotel lies at the far end of this factory outlet retail center, anchored by big names like Coach, Carter’s and Columbia Sportswear. Be sure to visit the Civil War Store for Gettysburg gifts. 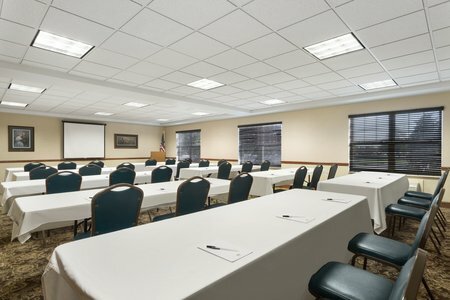 Host a meeting or an award ceremony for up to 70 guests at our convenient Gettysburg location. Our spacious, private room is supplied with free Wi-Fi and an array of audiovisual aids that help you stage a successful event.